A Vectrus (NYSE: VEC) subsidiary has secured a potential seven-year, $84 million contract to perform maintenance services in support of Sheppard Air Force Base in Texas. The company said Tuesday its Vectrus Systems subsidiary will deliver support in the areas of installation management, operations and maintenance, installation engineering and emergency management under the U.S. Air Force contract. 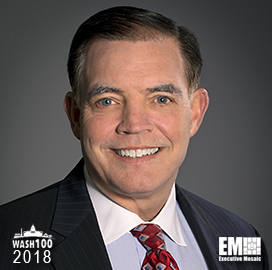 “The Sheppard win builds on our Air Education and Training Command programs at Keesler AFB and Maxwell AFB,” said Chuck Prow, president and CEO of Vectrus and a 2018 Wash100 recipient. He added that the new contract also works to expand the company’s position as an Air Force prime contractor with programs such as the Thule Air Base maintenance contract and Air Force Contract Augmentation Program. Sheppard AFB houses the 82nd Training Wing and the 80th Flying Training Wing and is the sole Air Force base that administers training for both technical and flying activities.